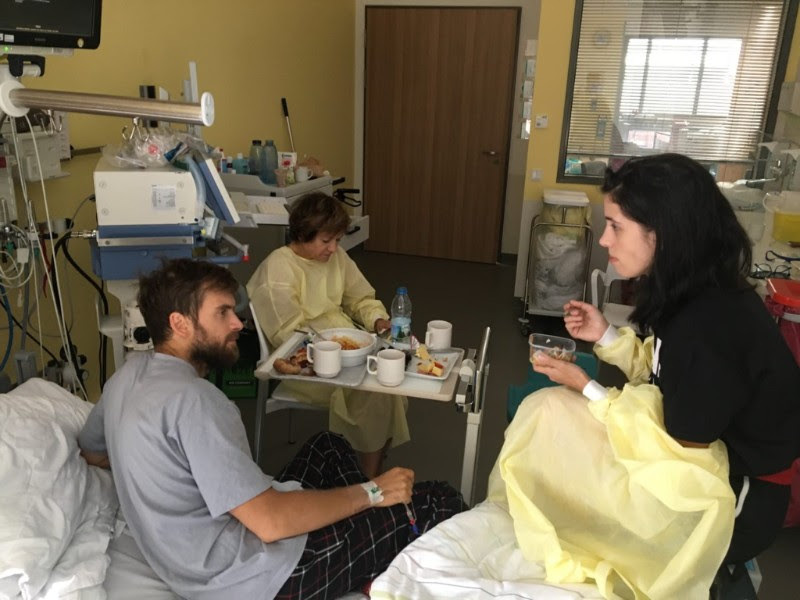 Peter Verzilov is out of hospital now. He’s still in Berlin under protection of German police because people who look like Russian syloviky (law enforcement agencies) were following Peter’s family and friends while he was in the hospital Charité. Peter Verzilov believes that Russian siloviky are in charge of his poisoning. German doctors say that they have not seen anything like Peter’s case before. An agent he was poisoned with is almost impossible to identify, and it gives such a long-lasting effects on Peter’s physical and mental health as none of the existing poisons. Peter’s lawyers filed a legal paper to the Investigative Committee of Russia asking to investigate an attempt of Peter’s murder. As German doctors said at the press-conference on 18th of September, Peter would be dead if his partner Nika Nikulshina was not around at the day of poisoning to call an ambulance. We demand the Russian officials to start investigating this case and open a criminal case to find out what happened to Peter.